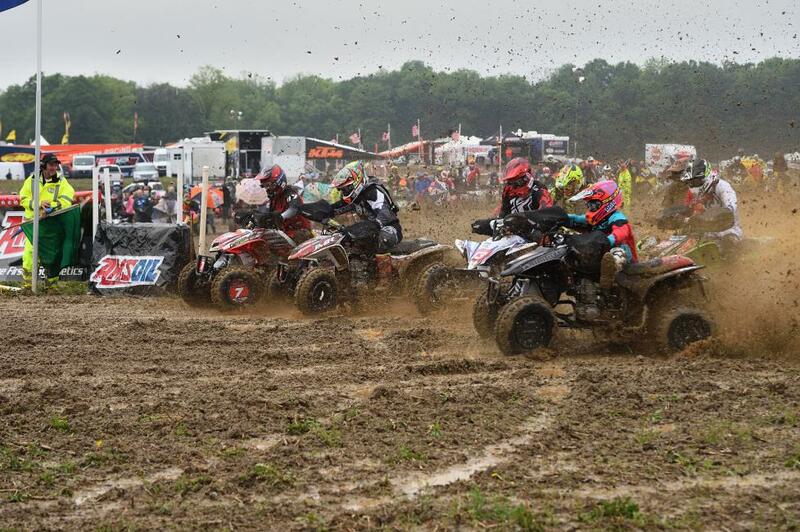 The sixth round of the 2017 AMSOIL Grand National Cross Country (GNCC) Series presented by Maxxis, an AMA National Championship, took place today, May 20, with the inaugural X-Factor GNCC in Peru, Indiana. With an abundance of rain taking place earlier in the morning, the track conditions were muddy creating an eventual GNCC event. 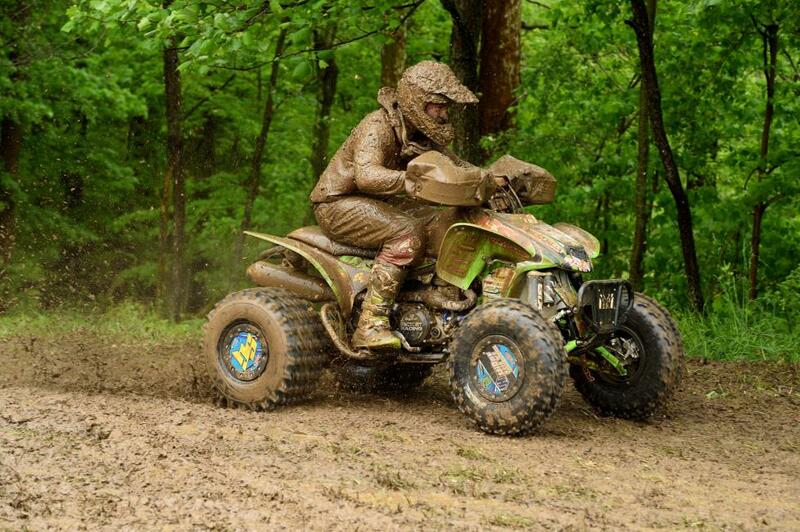 After battling the rough and rugged conditions for a total of two laps it was GBC/Fly Racing/HMF/Yamaha’s Johnny Gallagher who would cross the finish line first to earn his first-ever overall GNCC win. 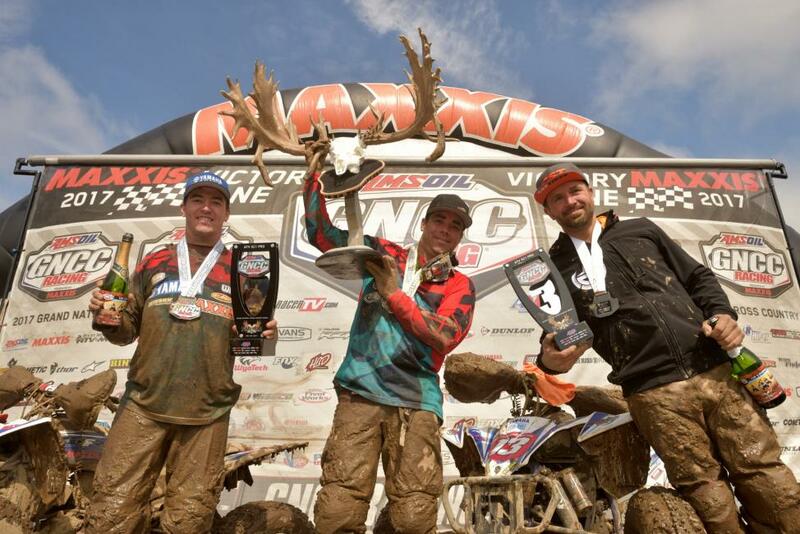 Johnny Gallagher earned the win at the inaugural X-Factor GNCC followed by Walker Fowler and Adam McGill. 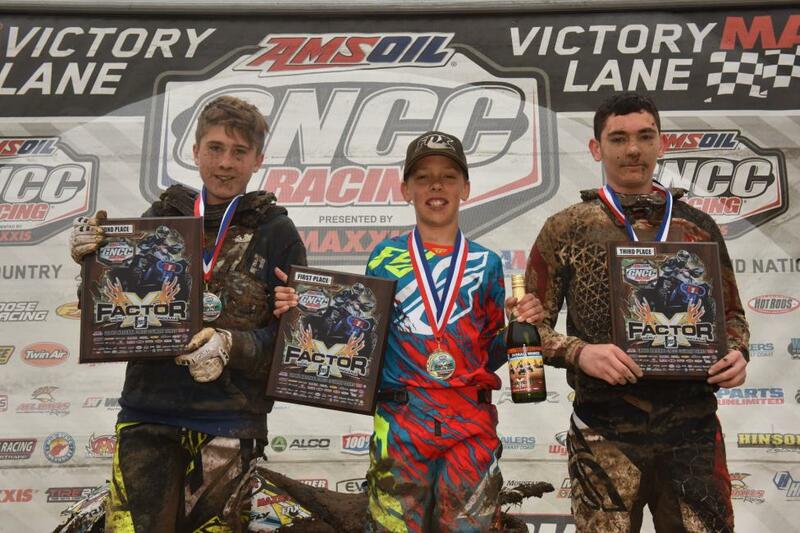 Landon Wolfe earned the XC1 Pro holeshot award at the X-Factor GNCC. After a slight weather delay GBC/Canyon Motorsports/Fly Racing’s Landon Wolfe grabbed the $250 Wiseco XC1 holeshot award as the green flag dropped. However, WFR/Yamaha/Maxxis/Fly Racing’s Walker Fowler was right behind L. Wolfe heading into the woods. As they checked through timing and scoring on the first lap, the white flag flew for Fowler, then Gallagher who was about two seconds off, and CST/Induction Solutions/LSR/HiPer/Spider Graphix’s Adam McGill who was eight seconds behind Gallagher in third. Adam McGill finished out the day in the third place position overall. Fowler and Gallagher continued to battle back and forth on the last lap, however after stopping for goggles Gallagher would fall off the pace a bit until Fowler got caught up in lapped traffic. While Fowler tried to make the pass on a lapper, Gallagher would capitalize by taking the inside line. Gallagher would go on to the finish where the checkered flag flew, and he earned his first-ever overall GNCC win in 23 years. “I was chasing Adam, and I felt like I could go a little faster. I passed him, and Jeff Hart, Hunter’s dad, told me I was leading and at that point I short-circuited. Did something real dumb and wedged it between two trees and fell back to like 10th or so,” said Johnny. 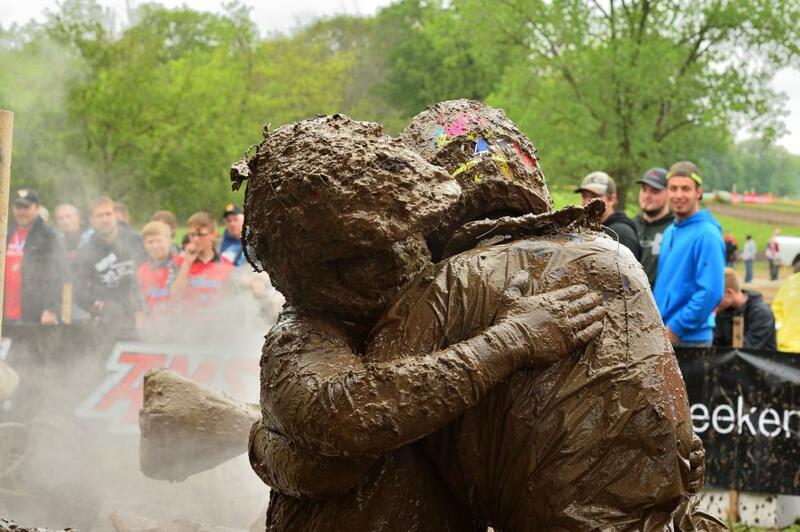 After earning his first GNCC overall win, Johnny Gallagher and Walker Fowler hugged it out after the checkered flag. As the XC2 Pro-Am class took off the line, it was Cameron Bruce who earned himself the All Balls $100 holeshot award. Ithaca Recreation/Maxxis/Quad Tech/Storm Peak Crossfit’s Hunter Hart would find himself in the first place position of XC2 as they came around on lap one, and with the adjusted time first overall on the day. Conditions quickly worsened and during the second lap Hart would find himself buried in the mud. XC2 defending champion, Greg Covert found himself in a favorable position to take over the lead as Matthew Lindle followed in second. When the checkered flag flew, Covert earned his first win of the season, with Lindle in second and Hart in third. Indiana’s own Cunningham Racing/Can-Am/Maxxis’s Kevin Cunningham lead the way during the 10 a.m. race, and earned his fifth win of the season. Can-Am/DJR/QuadBoss’s Bryan Buckhannon, and Team UXC Racing’s Kevin Trantham rounded out the 10 a.m. overall podium and 4×4 Pro top three. 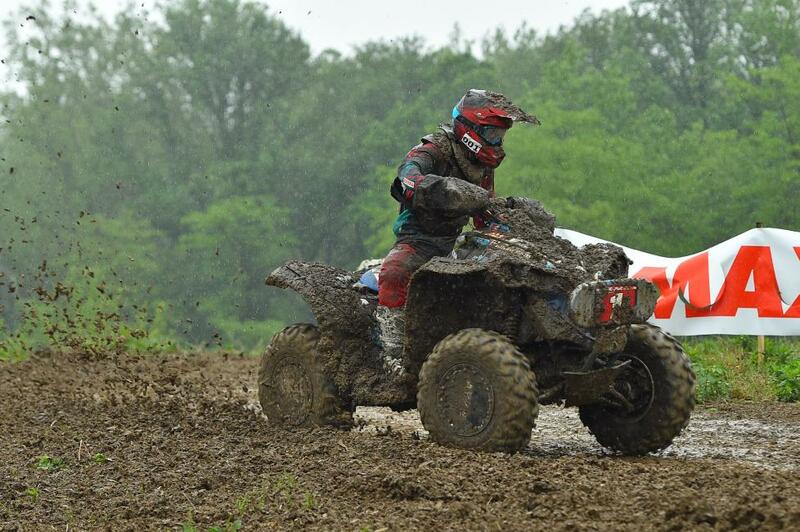 Kevin Cunningham earned another win in the 4×4 Pro class in the muddy conditions in his home state of Indiana. In the WXC division, Traci Pickens was able to maneuver through the muddy conditions and earn her second win of the season. Pickens, followed by Angel Knox and WXC defending champion, Alicia McCormick, rounded out the top three ladies. Ye Olde Cycle Barn’s Layne McCormick took his third overall win of the season in the 8 a.m. youth race. Colton Buck and Payton Dalton rounded out the top three on the youth overall podium. Layne McCormick earned his third overall win, followed by Colton Buck and Payton Dalton. The 1 p.m. race was broadcast LIVE in its entirety on RacerTV.com and can be viewed as an archived video now online by visiting the GNCC LIVE page online. A highlight show featuring the event will air Saturday, June 17 at noon. The 2017 AMSOIL Grand National Cross Country Series resumes next weekend, May 27 and 28, with the Wiseco John Penton GNCC in Millfield, Ohio. For more information on the series, visit the official website at www.gnccracing.com or call (304) 284-0084. Join the conversation on the series Facebook page, follow us on Twitter and Instagram, and be sure to always hashtag #GNCC.